HYAB knife rack is made for wall mounting and keeps high quality. 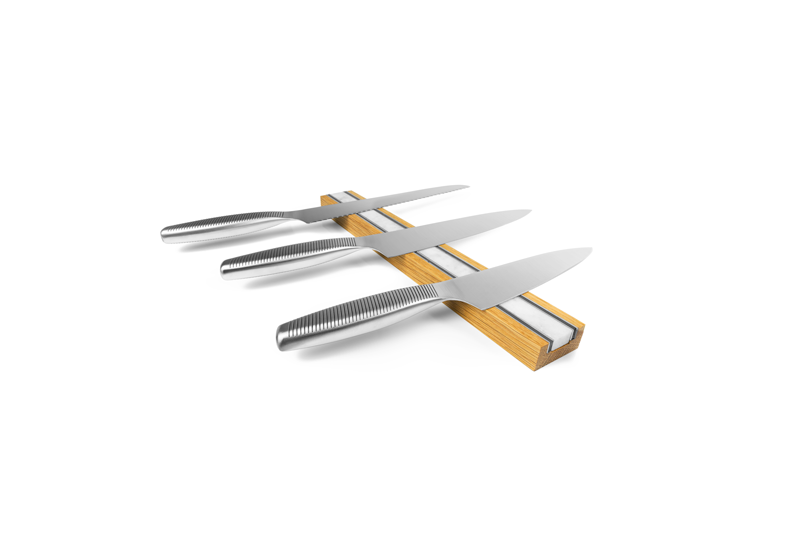 Our small knife rack in modern metall surface, which fits in any kitchen. Mounting brackets are..
Our big knife rack in modern metall surface, which fits in any kitchen. Mounting brackets are i.. This product is made in Sweden and has swedish oak and marble. For correct hole pla..